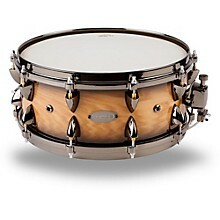 The OCDP Maple snare features an outer ply of ash with natural to black burst finish. 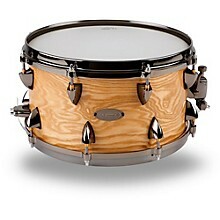 The inside of the snare is hand-sanded and then sealed to a satin finish. The edges always have a ply of flatness for a true sound and for maximum resonance. The edges are also sanded smooth for a very finished feel. All of OCDP's logo badges are engraved aluminum for a custom look. The lugs are made from an aluminum/zinc alloy that is far stronger than the zinc #3 that virtually all other drum lugs are made of. The die-cast hoops are used on the thicker-ply snare drums and the vented drums as these tend to have a lot of ring and the die-cast hoops will help control this.